Committed to Sharing her Leadership! Kim Thomassin is managing partner for the Québec region at McCarthy Tétrault and one of the very few Canadian women to hold such a position in a large law firm while continuing to practise law nationally and internationally. A dynamic, committed woman, Kim Thomassin was able to carve out a place for herself and other women in a male dominated profession. Prompted by a vision of Québec women’s common interests, in 2015 she participated in the first cohort of L’effet A, an innovative program designed to offer women practical tools to propel their professional ambitions. In 2010, when her daughter was three years old, Kim Thomassin left her hometown of Québec City to take up the directorship of the Québec region for her firm. In so doing, she left behind all the family and social support she had, which was likely one of the biggest challenges and the major turning point of her career. By the same token, she became one of the most credible role models in the Montréal business community. In 2010, she received Lexpert’s Rising Stars: Leading Lawyers Under 40 Award. 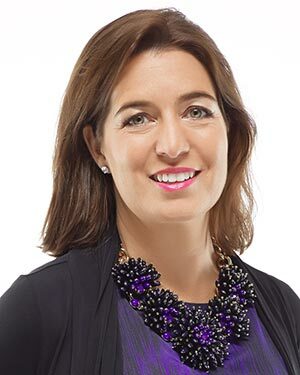 In 2012, the Women’s Executive Network (WXN) named her one of Canada’s Most Powerful Women: Top 100, and in 2013, she was honoured with a Lexpert Zenith Award as a Leading Woman Lawyer. Ms. Thomassin also chaired the Board of Trade of Metropolitan Montréal’s board of directors in 2014-2015, and previously served as vicechair. In January 2015, seeking to share their knowledge and leadership with young women to support their executive career goals, Kim Thomassin and four other prominent Québec women founded the first cohort of L’Effet A. In 100 days, Ms. Thomassin gave women university students practical tools to develop negotiation and leadership skills to help them thrive and be fully acknowledged in their careers. This was a hands-on way to make change and, thanks to social networking, incite thousands of women to follow in her footsteps. It’s not only Kim Thomassin’s intellectual and leadership capabilities that inspire others; she also has a generous heart. She has had a long and positive association with Centraide of Greater Montréal, where she gives generously of her time, expertise and money. She also sits on boards of foundations, among them the Fondation les Petits Trésors, which benefits from her warmth and dedication to children’s well-being.